Bank BRISyariah - PT Bank BRISyariah, Starting from the acquisition of PT Bank Rakyat Indonesia (Persero) Tbk against Bank Artha Services on December 19, 2007 and after obtaining permission from Bank Indonesia on 17 November 2008, PT Bank BRISyariah formally operate. 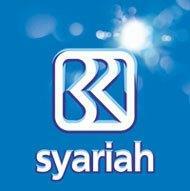 3 years standing, PT Bank BRISyariah confirmed as one of the major players in the Islamic banking industry nationwide. In the 3-year period, the management and employees of PT Bank BRISyariah build vital infrastructure for investment purposes as well as to consolidate in order to prepare a modern retail bank in Indonesia. For this purpose, PT Bank BRISyariah recruiting and selecting the best human resources to be part of the company, both as experts and the best graduates from the University of Indonesia's prominent. Is a comprehensive educational program designed to develop qualified employees to be relied upon in Islamic banking and leadership in response to the business challenges of the future. Experienced recruitment field for a specific position.